Chipilín (Crotalaria longirostrata) is a leguminous plant originally from Central America and Southern Mexico that is a popular crop in the cuisines of El Salvador (Figure 1), Guatemala and parts of Southern Mexico, including Oaxaca (Figure 2) and Chiapas. Chipilín is an annual slender shrub that will sometimes persist for more than a year. It grows upright to 2 – 6 feet high, with slender, vertical or arching branches, nearly cylindrical, and slightly hairy. The stem often turns dark-red as it matures. Chipilín is sensitive to cool weather and will die-back with a light frost (Figure 4). 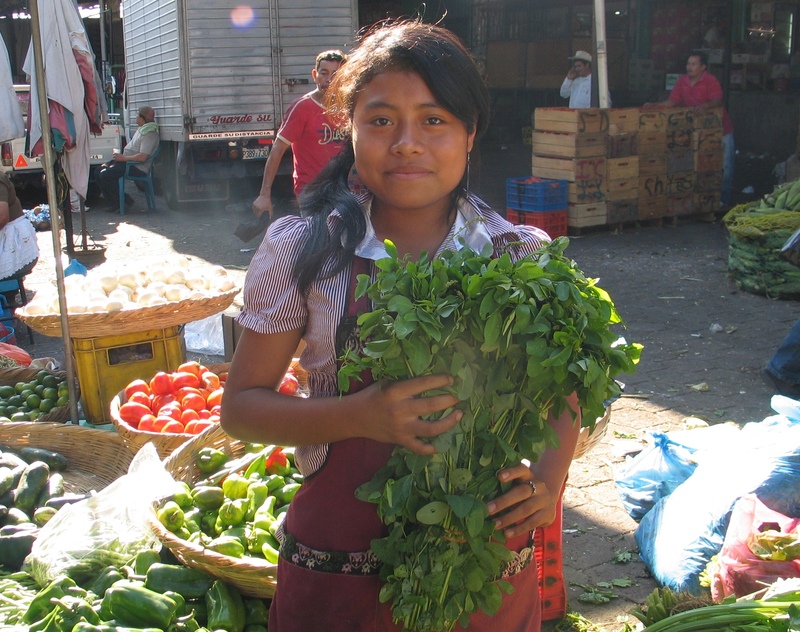 In Oaxaca Mexico, the name used for this leguminous leafy-green is chepil. They use C. longirostrata, but also another species which is probably Crotalaria pumila (Figure 3). Crotalaria pumila is a shorter plant, with smaller leaves compared to C. longirostrata. C. longirostrata in Oaxaca is sometimes referred to as chepil de hoja ancha (wide leaf chepil) in parts of Mexico to distinguish it from C. pumila. In a visit of several markets in Oaxaca in January 2014, no C. longirostrata was found; only C. pumila (Frank Mangan, personal observation, January 14, 2014). However, a visit to markets in Pinotepa Oaxaca in November of 2017, only wide leaf chepil was found in markets (Figure 5). Raw chipilín leaves are considered a purgative and are only eaten in dishes that are cooked. Chipilín is used as an ingredient in tamales and in soups. In Massachusetts, chipilín was only available as frozen (Figure 6) or bottled (Figure 7) before researchers at UMass introduced fresh chipilín into markets in Massachusetts. As is the case with some fresh products UMass has evaluated, consumers sometimes will not have a strong preference for fresh over processed versions. This has not been the case with chipilín; there is a strong demand for fresh over processed. In the Northeastern United States, chipilín is grown as an annual plant during the frost-free periods. Researchers at UMass have successfully grown chipilin on black plastic laid 6’ on center, with two rows on foot apart and one foot in the row which gives 14,500 pants per acre (Figure 6). Yields in trials have averaged 10,000 lbs./acre. As a legume, chipilín has the capacity to fix nitrogen from the atmosphere through a symbiotic relationship with bacterial strains of the genus Rhizobium. Live nodules are found on chipilín roots in El Salvador (Figure 7) (Frank Mangan, personal communication, January 20, 2011); however, infection with Rhizobium strains is rarely seen on chipilin roots under field conditions in New England. Evaluations have been made to determine species of Rhizobia that can create a symbiotic relationship with chipilín (Isidoro and Messier, 2009; Bisson and Mason, 2010). Several strains of Rhizobia have been evaluated that infect chipilín, including Bradyrhizobium USDA 3456, Bradyrhizobium PNL0i-Brady, Bradyrhizobium USDA 3384 and Rhizobium leguminosarum biovar. Chipilín inoculated with Rhizobia strains Bradyrhizobium USDA 3456 and Rhizobium leguminosarum biovar were the most efficient strain. The effectiveness of the Rhizobia decreases with the addition of nitrogen fertilizer. 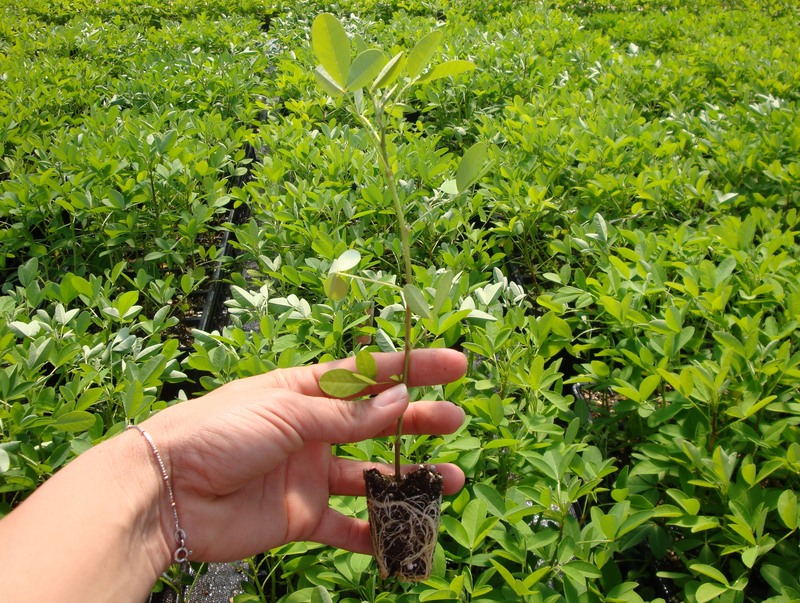 Most likely due to the fact that chipilín is a legume, it requires high rates of nitrogen when not inoculated with Rhizobia since legumes in general are not as efficient in taking up soil nitrogen compared to non-legumes. In addition, since chipilín is harvested multiple times during the season, similar to parsley, much of the nitrogen in the leaves are removed and need to be replaced for new growth. When growing chipilín on black plastic with drip irrigation, as much as 200 lbs./acre of nitrogen is applied in order to provide sufficient nitrogen for good quality leaves desired by the markets. Transplants are used in Massachusetts due the low germination in chipilin seed, as low as 10 percent, and the short growing season (Mangan, 2012). Transplants should be started eight weeks before the last frost (Figure 8). The root structures of chipilin are not very study and care should be taken when dislodging them from transplant trays. The plants can look very fragile after transplanting, and you can lose some plants, especially due to damage from pulling them from the trays. Putting water I the holes when transplanting and irrigating early and often after transplanting are recommended to ensure good establishment. Due to the low germination of chipilín seed, seed starter trays (Figure 9) are used and when the seedlings have 2 – 4 true leaves, they are then transplanted 72-cell trays. Row cover has been used at the UMass Research Farm whenever growing chipilín after the identification of potato leaf hopper as a significant pest of this leafy green (see below). As a crop that has its center of origin in the tropics, yield and quality is also enhanced, although this has not been established with research. Since chipilín is a tender crop, and the row cover is kept on all season, metal hoops are used to protect the chipilín from being damaged by the weight of the row cover, especially due to rain/irrigation. Hoops are placed approximately every 10 feet and the row cover is put up as soon as possible due to potato leaf hopper damage, which is more aggressive when the chipilín plants are young (Figure 10). The row cover has to be taken off for harvest, which is traditionally every two weeks in Massachusetts, depending on weather. Weed management is a serious issue when using row cover since the increased temperature and humidity under the row cover are also favorable for growth of weeds. Chipilín is not competitive against weed growth and yield can significantly reduced without management (Figure 11). 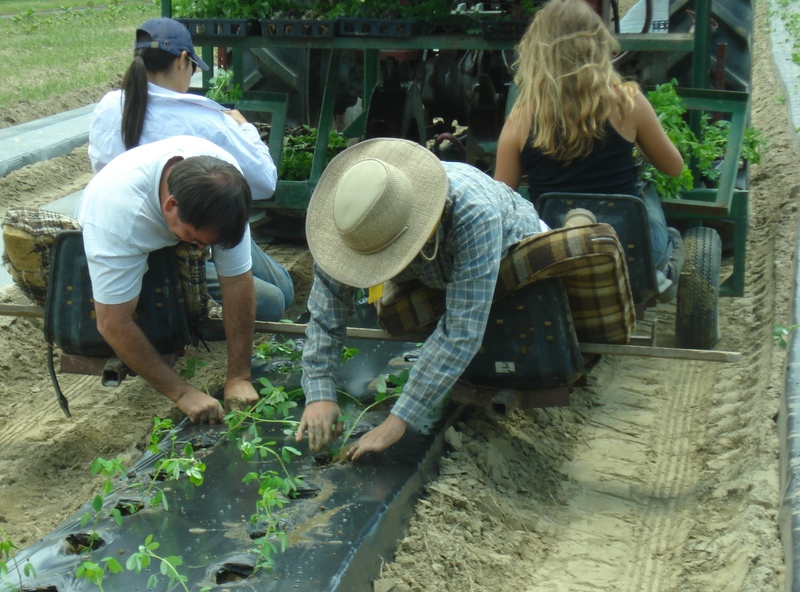 In addition, weeds in between the rows need to be managed and the row cover sides that are buried in the soil also have to be managed when taking the row cover off for harvest (Figure 12) (Figure 13) (Figure 14). It is best to rotate which side of the row covers to remove in order to manage the weeds on each side. Given the constant removing and replacing the row cover during the whole season, thicker row cover types are recommended; thinner row covers will tear too easily during the season which will allow potato leaf hopper to enter. Potato leaf hopper (Empoasca fabae) is the most important pest of chipilín grown in Massachusetts. As the name implies, it is an important pest of potatoes but it also a pest of many other crops including leguminous plants, and as a legume, chipilín is susceptible to damage from potato leaf hopper. See this UMass Extension fact sheet on potato leaf hopper for more information. Potato leaf hopper causes yellowing and stunting of tender leaves and if infestation is significant will make the chipiilín unmarketable. The potato leaf hoppers are very small and may be difficult to see (Figure 10), but the damage is very distinctive; it may at first look like a nutrient deficiency, especially nitrogen, but on close inspection one can see the insects (Figure 15) (Figure 16). In reviewing pesticides labeled for chipilín in 2007, the year we identified this pest as a problem in chipilín production, we found pyrethrin (PyGanic EC5.0) to be the only commercially-available pesticide labeled for management of potato leaf hopper in chipilín, since it is allowed to be used on “leguminous vegetables”. We trailed it in 2008, but found that pyrethrin knocked down some potato leaf hopper but did not give much residual management. For this reason, we moved to using row cover as the primary management for potato leaf hopper (Figure 17), and would apply pyrethrin to the chipilín plants after harvesting and before putting the row cover back over the plants (Figure 18). Important! Before using any pesticides on chipilín, or any other crop listed in worldcrops.org, you should check the pesticide label and make sure that is legal to be applied on the specific crop. Some crops listed in worldcrops.org are very similar to other traditional crops grown in the United States. For example, in the case of Calabaza, which is the same genus and species of butternut squash (Cucurbita moschata), and as such any pesticide allowed to be used with butternut squash can be used on calabaza. When growing a crop that is not in the same family, genus and/or species of traditional crops grown in your state, for which information is readily available on permissible pesticides to use, you should consult your Extension Service or state department of agriculture for information on what pesticides can be applied. In the case of chipilín, there are no food crops grown in New England that are in the genus or species of this food crop, Crotalaria longirostrata. So the label for the specific pesticide to be used for chipilín would have to list something specific to chipilín, such as “leafy greens” or “legume” food crops. We have found leaf damage on chipilín from different types of scarab beetles. Scarab beetles overwinter in the soil and adults will emerge in late June/early July in Massachusetts, which is after the row cover has been places over the chipiliín. The scarab beetles are trapped under the row cover and will feed on the chipilín. The damage is very localized and in most cases is not significant. Many adults will fly away after lifting the row cover off to harvest. The most common scarab beetles found on chipilin are Japanese beetles (Figure 19) and Oriental beetles (Figure 20). 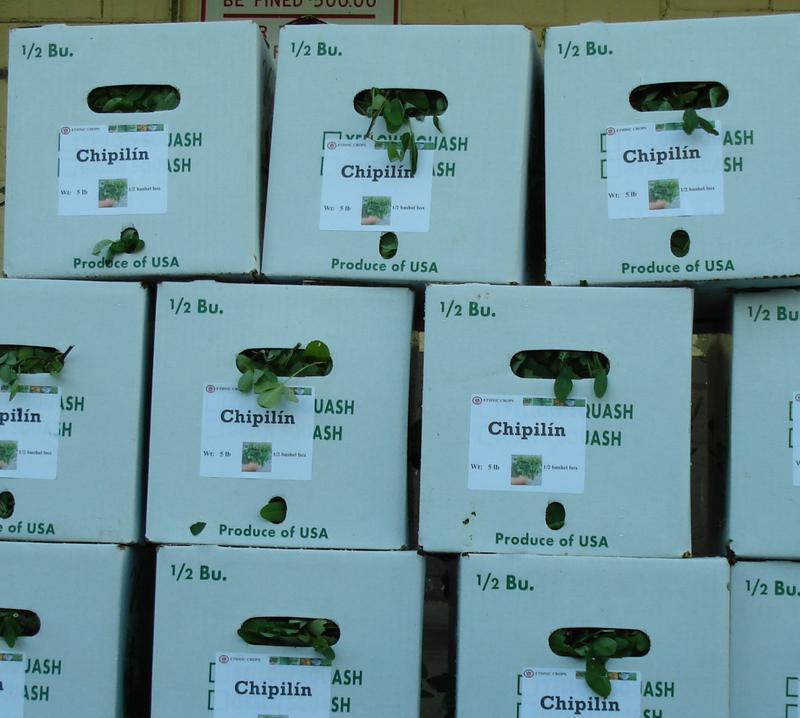 Chipilín has a relatively short shelf life compared to other leafy greens. Under optimum conditions for temperature and humidity chipilín will maintain marketable quality for a maximum of two weeks. Chipilín will maintain marketable quality for a maximum of two weeks under optimum conditions for temperature and humidity. Based on evaluations of postharvest practices at UMass Amherst, chipilín maitanis highest quality and shelf life by being dunked in cool water to take out field heat, then packed in wax boxes with a plastic insert to maintain higher humidity (Figure 21). Quality and shelf life increased with plastic bag inserts compared to no plastic used in the boxes (Figure 22). Holes are put in the bottom of the plastic bags to ensure that that water will not pool and damage chpilín on the bottom of the box. This practice increases labor, making the holes and then inserting the plastic bags in each box, and to a lesser extent costs for the plastic bags. Holes are put in the bottom of the plastic bags to ensure that that water will not pool and damage chpipilín on the bottom of the box. 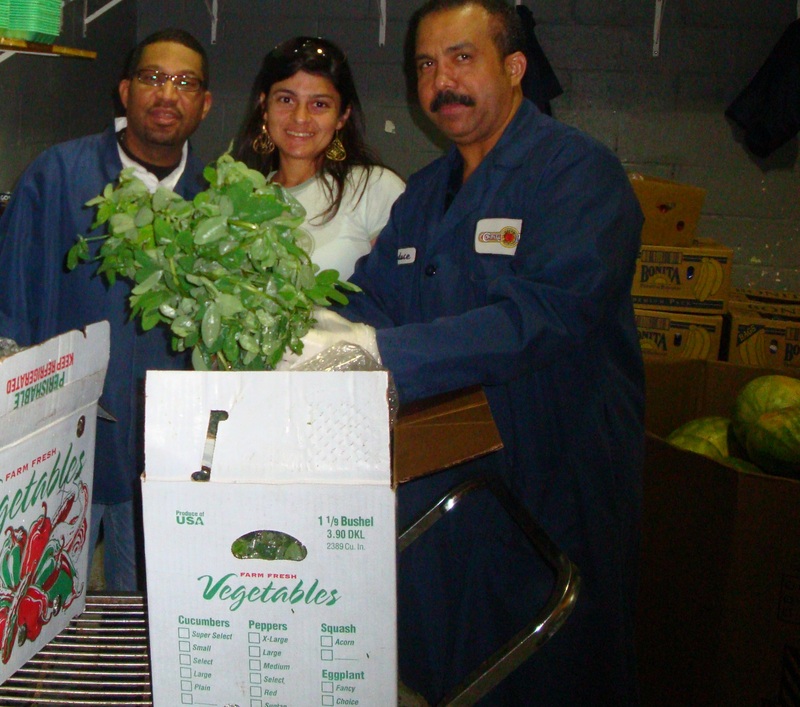 This practice increases labor, making the holes and then inserting the plastic bags in each box, and to a lesser extent costs for the plastic bags. The optimum temperature for storing chipilín is 45–50° F.
For retail markets, maintaining high humidity and optimum temperature is also important. Retail markets in the Northeastern US will seal chipilín in plastic bags (Figure 23), put in containers with water on the bottom where they will stand the chipilín up with the stems in the water, both in markets (Figure 24) and farmers' markets (Figure 25) , similar to asparagus, and put them on a shelf that has a mister (Figure 26). For wholesale, we have used ½ bushel (Figure 17) and bushel 1/9 wax boxes (Figure 27). Five lbs. of chipilín will fit in a ½ bushel box and 10 lbs. in a bushel 1/9 wax box. Chipilin has been considered as one of the 16 most important species of edible leaves in the world (Arias, et al., 2003) due its high content in calcium, iron, thiamine, riboflavin, niacin and ascorbic acid (Morton, 1994) and as a valuable source of protein (Arias, et al., l 2003).